WHY COLD FORMING TOOLS FAIL? a subsidiary of SouthWindInternational, a technical trading company, ongoing leader in Brazil and South America, for supplying tools, machinery and auxiliary equipment for the Fastener Industry since 1995. We are dedicated supply cold forming and threading tools to the North American Fastener Industry, from the best makers in Taiwan, through direct import by the customer or door-to-door delivery. 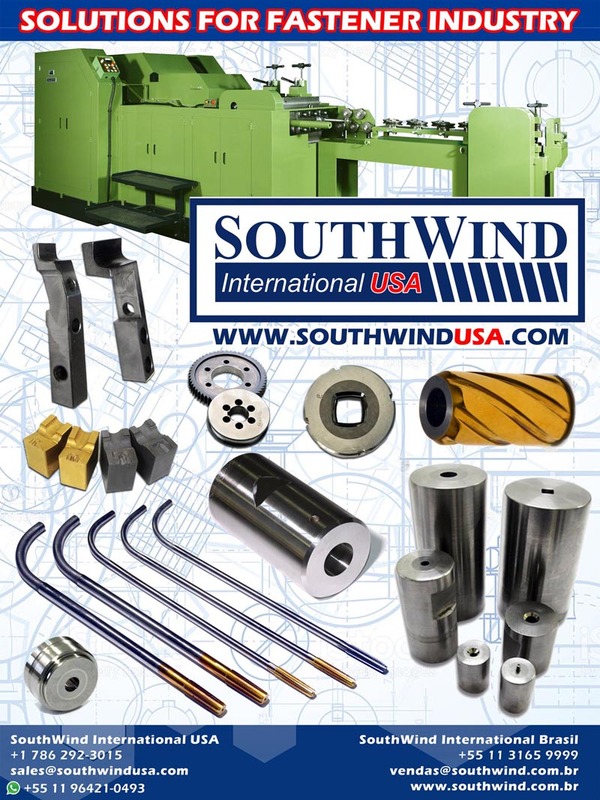 SouthWind International USA, LLC Mail Address: 1660 W. Hillsboro Blvd. Deerfield Beach, FL 33442 - U.S.A.